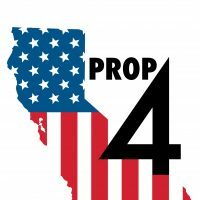 Children with illnesses need help from voters on November 6 to pass Proposition 4. The Children’s Hospital Bonds Initiative would authorize $1.5 billion in general obligation bonds to provide for the Children’s Hospital Bond Act Fund. General obligation bonds are the way the state borrows money for long-term capital projects. The state will repay what they borrow using the state’s main operating account General Fund. The proposition says it would award funds to “construction, expansion, remodeling, renovation, furnishing, equipping, financing, or refinancing of eligible hospitals in the state.”This would be a responsible investment because updated technology and services are critcal for children in hospitals. Seventy two percent of the funds would go to seven nonprofit children’s hospitals that provide services to children eligible for governmental programs such as California Children’s Services. Eighteen percent of the funds would go to five University of California general acute hospitals, including University of California, Davis Children’s Hospital and Mattel Children’s Hospital at University of California, Los Angeles. The final ten percent would go to private and public hospitals that provide pediatric care to children eligible for CCS. The state’s legislative analyst estimates that interest on the bond will amount to $1.4 billion over the next thirty-five years, making the total cost of the bond $2.9 billion. The average annual cost for the state will be $80 million. This would amount to less than one-tenth of one percent of the state’s current General Fund. Gary Wesley, opponent to the bill, says that these funds could raise taxes for property owners, putting Proposition 13 at risk. Proposition 13 passed in California in 1978 and added provisions to the state’s constitution that prevented the “reassessment” of real property unless and until the property changes owners or is substantially rebuilt. Based on the California Spending Plan, General Fund spending in the budget package for 18-19 is $138.7 billion. $2.9 billion spent on Children’s Hospitals for Proposition 4 over the length of thirty-five years is hardly a dent in the state’s budget.